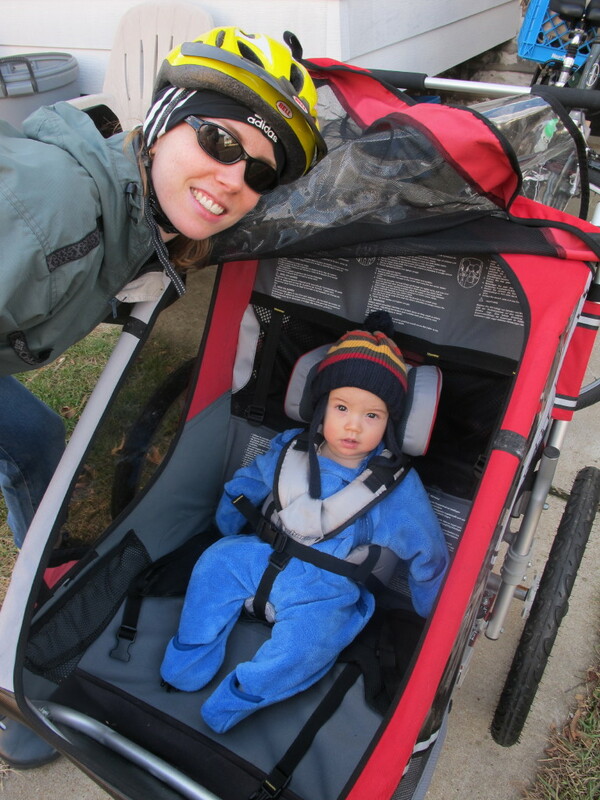 When I looked at the forecast for New Year’s weekend and saw temperatures in the 60s, I knew it was time for Gabriel’s inaugural bicycle [trailer] ride. My parents gave us the baby supporter accessory for Christmas, so we were ready for action. 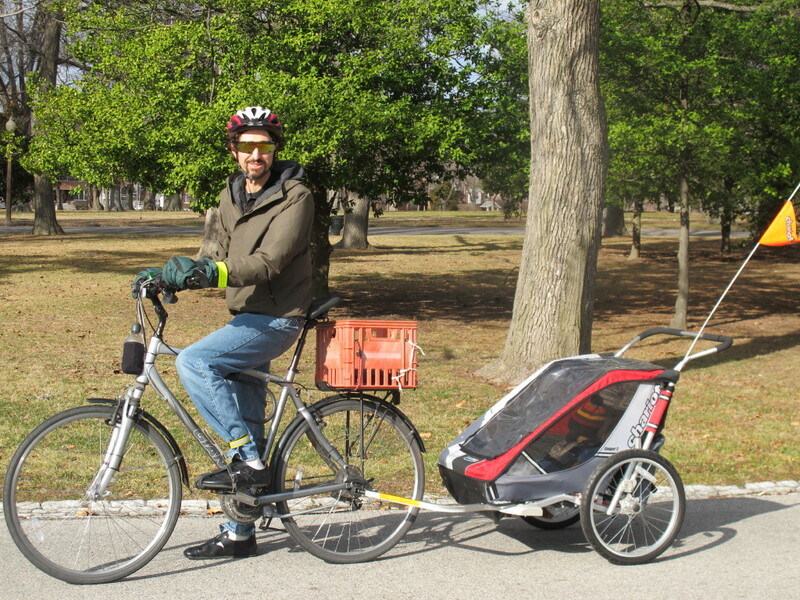 Friday morning, after his first nap, we strapped The Dude into the trailer and rode our bikes to Tower Grove Park. I’d debated using the trip to run an errand but ultimately decided to keep it all pleasure, so we biked the outer loop road in the park, and then headed back home. Apparently The Dude was pretty comfortable — he looked around for a bit at first, and, shortly after we entered the park, he fell asleep for the rest of the ride. But… OK… the gears in my brain are grinding… are those trees with leaves in that picture? How do you have trees with leaves in January? I noticed the trees too — I think they are holly, or some similar evergreen. Came across your blog while searching for info on biking with babies. How old wa your little guy when you took him out for the first time? He was just shy of six months when we took him out in the Chariot trailer with the baby supporter insert. We got an Ibert front seat a few weeks ago, and I like that much better than the trailer, though I probably wouldn’t have put him in the front seat at six months (he’s almost 12 months now).